finessTV Client plays the live tv stream of a TV receiver or a selected archive movie. As a requirement, the "finessTV Server" has to be started on the Mac. The client can access the server within the local network or outside the local network (after entering a server address and port in the preferences). After the successful connection, the available channels are displayed on the left and the current live tv stream is displayed on the right. 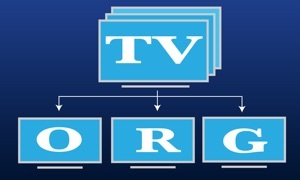 Selecting a channel will change the channel in the TV receiver and, as soon as the new stream data is available, the live stream will be switched. Because multiple clients can be connected to the server, the channel is also switched if the channel is switched on another client. Due to the system requirements, the live stream is delayed (ca.10-15 seconds) and the switch takes several seconds (ca. 20). Furthermore the archive can be selected to watch a recorded movie on a client. Other clients can continue to watch the live stream or select and watch an archive movie as well. finessTV supports EPG based on a web page url (see Preferences; only available on iPad), broadcast data or XMLTV setup in the server. Links to the required hardware (EyeTV or a Sat IP compatible TV receiver) and applications (VLC, finessTV Server) on Mac running macOS 10.11 or newer can be found at the support web page. And at "Tips & Tricks" additional help can be found. If you have any questions or suggestions for improvement, please do not hesitate to contact us. This app is not affiliated with Fritz!Box, Geniatech or VideoLAN non-profit organization. EyeTV is a trademark of Geniatech, Fritz!Box is a trademark of AVM Computersysteme Vertriebs GmbH and VLC is a trademark of VideoLAN non-profit organization.